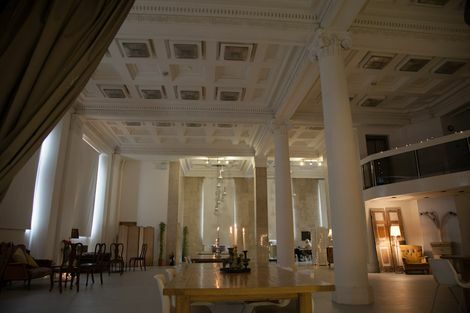 The Liverpool venue which wowed Lady Gaga is to open it’s doors on Monday as a new cafe and event space. The majestic OhMeOhMy, formerly West Africa House on Water Street, will open its doors to the public on Monday August 26. The majestic waterfront building, gazed upon by the iconic Liver Birds, has undergone various identity changes, such as as Grey Space and Secret Space but will now be known as OhMeOhMy; an eatery and event space. The iconic West Africa House, wowed the likes of Lady Gaga as a photography studio, has united lovers across the city as a secret wedding reception venue and also staged the launch of last year’s GIT Award. Now for the first time in it’s 90-year history, the building will become an accessible and affordable space to meet, eat, drink or hold an event. Natalie Haywood, founder of LEAF – the team behind OhMeOhMy, said: “We are so happy to be opening the doors to OhMeOhMy. We came up with the name because we think it’s a breathtaking room. OhMeOhMy, West Africa House, 25 Water Street, Liverpool, L2 0RG. Open 8.30am-5.30pm. Monday to Friday. Tel: 0151 707 7747. 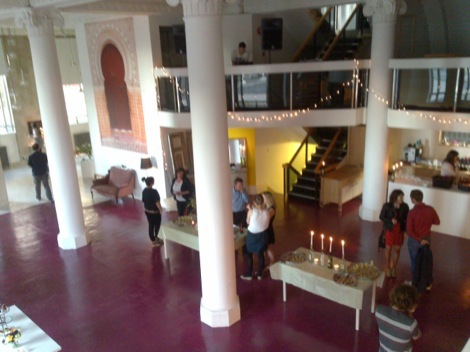 Getintothis reviews MONEY, By The Sea, Tear Talk: Leaf Tea Shop, Bold Street, Liverpool. Leaf and FACT team up for new venue The Garden. GIT Award 2013 and Esco Williams single launch: The Grey Space, Water Street, Liverpool. Getintothis on Leaf‘s new venue The Grey Space – plus pictures.